TREASURED ENCOUNTERS: Julia Hughes is back, with a new fantastical tale! Julia Hughes is back, with a new fantastical tale! THE GRIFFIN’S BOY FLYING BOOK TOUR! Ever have any flying dreams? Once in a while – not often enough, my dreams take me into flight – I soar – and there is nothing else like that experience. Nothing else, that is, until I read The Griffin Cryer by Julia Hughes. When The Rider tosses Frankie onto Balkind to get her out of a very dangerous situation, I jumped on Balkind, too, and soared aloft, as if I was there, in the book…..
For those who enjoy soaring and mysterious encounters – plus fast-paced adventure in their tales, The Griffin Cryer is free to download through Sunday, December 15. Since that first read – along with other griffin rider wannabes, I have incessantly pestered Julia Hughes to write a prequel. The young Rider is such a compelling, mystifying character (and a handsome one too). I wanted to know: How did he become a griffin rider? And how did he end up with a mischievous yet lovable griffin named Balkind? All we really know is that the Rider was not born a nobleman and he has no name; called, ‘the boy,’ by the Griffin Master. All else has remained a mystery – until now. On Sunday, December 15, our wish will be fulfilled – The Griffin’s Boy hits the cyber bookshelves. Even better news is that there is a griffin Giveaway contest! Two lucky winners picked at random by Rafflecopter will have the opportunity to adopt and name a griffin; "be griffin owners - in literature, not literally," says Julia. 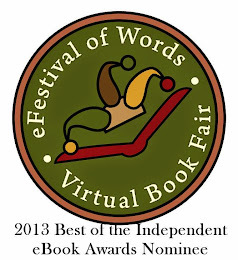 Runners up will receive a free e-book copy of The Griffin's Boy. It is easy to enter The Great Griffin Giveaway contest! Click here! Home page - Griffin Riders. SYNOPSIS: The Griffin’s Boy is The Rider’s story, set on Ella-Earth – our world’s twin in an alternative universe. Evolution has taken a different path and mythical beasts exist. Britain remains an island of mists, populated by Celtic tribes and governed by a strict feudal hierarchy. Only noblemen’s sons are recruited into an elite troop known as the Griffin Riders. The best a nameless nobody like Neb can hope for is to become a griffin’s lad. But then his fate becomes entwined with the mischievous grey griffin, Balkind, who everyone knows is trouble….and sure enough, Balkind disgraces himself on recruitment day and is rejected by Griffin Master Romulus. But Neb is determined to change Romulus’s mind. Telling himself and anyone who will listen that Balkind deserves a second chance, Neb steals the beast and flies off on the adventure of a lifetime. He quickly realizes: Riding griffins isn’t for the faint-hearted, and girls are complicated beings, best treated with respect. One single courageous act earns Neb his heart’s desire – but then he ruins everything. When his new friend, Samara, is abducted, Neb rushes to her rescue – with disastrous results. The youngsters learn they are to be sacrificed in a macabre ceremony. Their only hope is Balkind. Although clever, Balkind has always been difficult to control. Will the griffin answer boy’s summons? Note: This compelling cover was creatively adapted by Laura Wright LaRoche, from an engraving by Gustave Dore. Q. In the Celtic Cousins’ Adventure series, historical events and mysteries are woven into the tales. For The Griffin Rider’s Chronicles can we expect to see more of these kinds of influences? Are there historical references in THE GRIFFIN'S BOY? A. 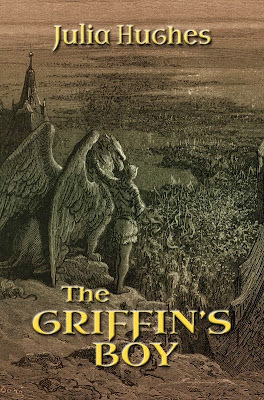 THE GRIFFIN'S BOY takes place in a Britain where the Iceni revolt against the Roman Empire succeeded. Thanks mainly to the Griffin Riders' vigilance, the Norwegian and Norman Invasions were also repelled. Britain is populated by Celtic tribes. With only minimal Roman and Norwegian influence, and none at all from the Norman French, British culture and history is very different. This might seem an excuse to rewrite history, but instead, I've leaned heavily on what is known of Britain prior to the Roman Invasion. Q. Initially, one of the main characters in THE GRIFFIN CRYER was a young man called “The Rider;” known as ‘the boy’ by the griffin master. This story takes us back to his roots, his early years. How did you decide on the unusual name, Neb – does it have a specific meaning? A. When the Rider is first introduced in THE GRIFFIN CRYER, we never learn his name. I couldn't continue calling my main character "The Boy" or "The Rider", so gave him a name that literally means, 'no-one, son of no-one'. There's obviously a mystery here; I'm looking forward to solving it! As am I, Julia...you are masterful at leaving us hanging; you tantalize us readers very well! Q. There are quite a few intriguing twists and turns in plot and several fascinating characters who show up later in the tale. When you begin a new story, do you start with a basic outline of scenes from beginning to end? Do your characters ‘talk’ to you about their roles? A. Thanks Dody! Telling the story of THE GRIFFIN'S BOY meant asking The Rider to relate how he, a nameless nobody, achieved his elite status. Usually only noblemen's sons are invited to join the Griffin Riders. Something quite unusual and special had to have happened for Neb to earn the title of Balkind's Rider. Usually I do outline plot lines and then fit characters to suit. 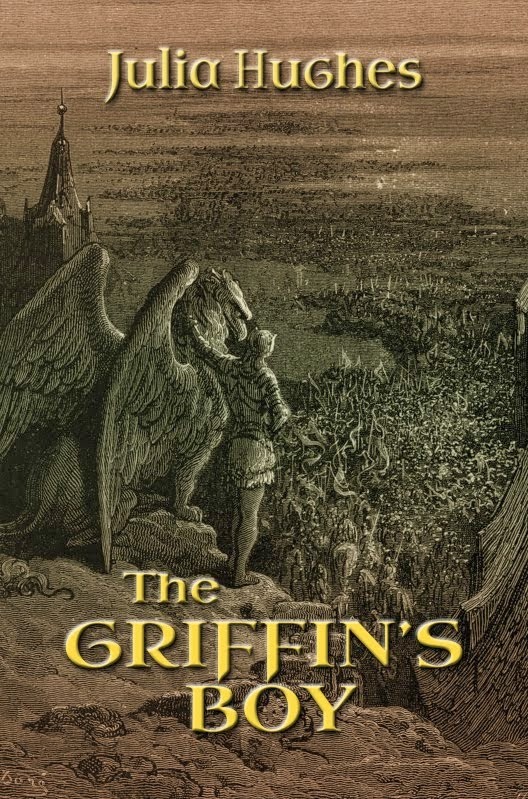 THE GRIFFIN'S BOY was an entirely new experience for me, as the character and part of his story was told in book one, THE GRIFFIN CRYER. But as you observe, there's new characters – and they have a whole new story to tell. 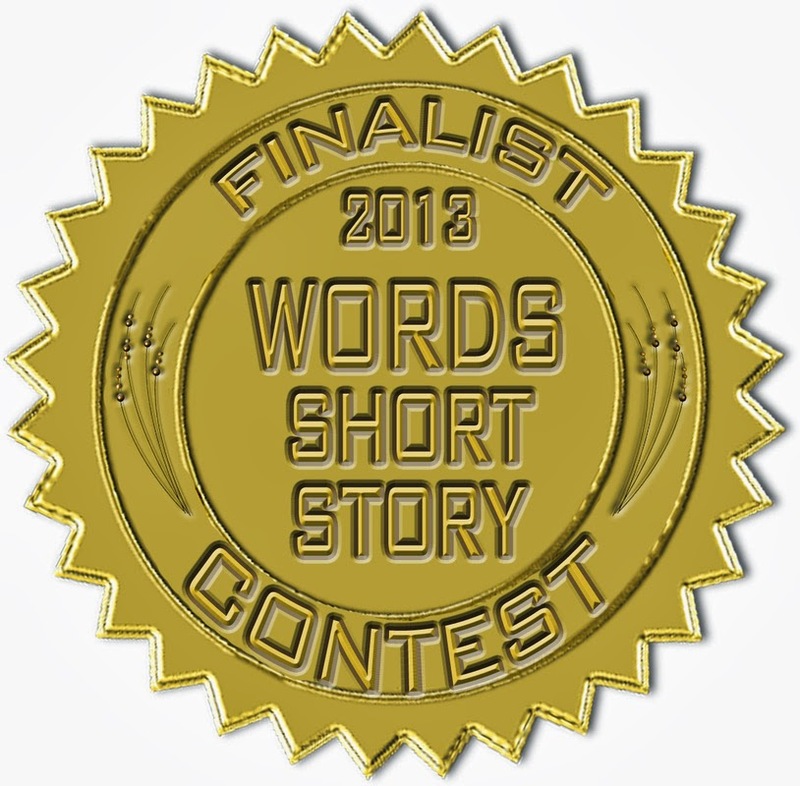 Q. I loved THE GRIFFIN CRYER; it is one of my all-time favorite tales. Frankie is an amazing character in her own right. Will she be featured in future Griffin Rider's Chronicles books? Could Frankie become the first female griffin rider? A. Thanks again – you're very kind! THE GRIFFIN CRYER was intended to be a stand-alone title. I didn't intend a follow up, but readers clamored to know more about the mysterious Rider. His story began as a short; but took on a life of its own. Since the Griffin Master, Romulus, hints that he would have no objection to recruiting girls into his elite troop, providing they can make the grade – who knows? Hi Dody! 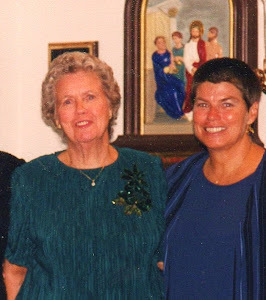 Thank you a million times for your generous heart and the enormous support. I know you really are a griffin rider in another life. Right now, "The Griffin Cryer" is at #128 in the whole of Amazon's free US charts. Could not have flown this high without you. You're an amazing friend, and I always question what I've done to deserve you, and I know all your cyber mates and fellow authors agree - and now you're about to build up your own fictional stable. 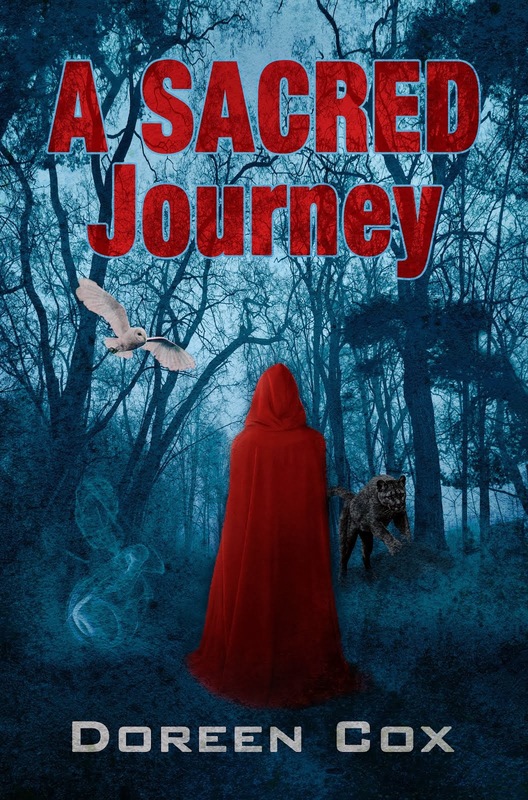 Congratulations once again on a beautiful mystical story, "Sacred Journey", I know this is the start of something big! Crazy as it seems, Julia, participating in your launches is always an adventure unto itself! 'The Griffin's Boy' is creatively brilliant, in my view. Although you won't take the credit :-), mentorship is also on your list of talents > thank you.